Students have been examining Earth as a system of interacting parts, initially from the local perspective but more recently from the regional and global perspectives. In order to fully understand Earth as a system and how its components interact with each other, students need to consider change over time. On relatively short times scales, these changes are related to the fact that the solar energy that drives the Earth system passes through an atmosphere that varies across space and time before reaching a spinning sphere. Across longer seasonal and annual time scales, these changes are more specifically related to the differential heating that results from the tilt of Earth's axis and Earth's orbit around the sun. At this longer-term global scale, it may be easier to see the repeating patterns of change across space and time and to infer how changes in one sphere may be linked to changes in others. understand the relationship between time and space with regard to global environmental data. In Part A: Students use ImageJ, a free image processing tool, to make an animation of monthly data maps for one component of the Earth system in order to explore how the Earth changes over time at the global scale. In Part B: Students make an animation of two datasets side by side to investigate relationships between different components of the Earth system across a 12-month period. You may also decide to print and distribute to students some of the resources in the Background Information section below. You can use ImageJ to display, annotate, edit, calibrate, measure, analyze, process, print, and save raster (row and column) image data (TIFF, GIF, JPEG, and many others). It reads most common raster image formats as well as raw data files in text format, such as from spreadsheets. ImageJ also supports stacks - multiple images in a single window - for animation and analysis. The animations that students observe in this Lab are powerful, but trying to take in a summary of constantly changing data for the whole planet across a full year is a challenge, and looking for relationships between two such massive data sets is even more challenging. To help students with these challenges, slow down the animations. Have them open the Animations Options window in ImageJ (Image > Stacks > Animation > Animation Options...) and set the speed at no more than .4 or .5 fps (Frames per Second). Something else that can help students notice change: when using the manual animation controls (the slider beneath the images) move back and forth between just two images at a time. Doing this helps one notice the changes between images, and allows one to focus on specific parts of the planet for a period of time. Lab 7 activities have been correlated to Texas Essential Knowledge and Skills (TEKS) standards. (C) explain how thermal energy transfer between the ocean and atmosphere drives surface currents, thermohaline currents, and evaporation that influence climate. Lab 7 activities have been correlated to the following National Science Education Standards. 12DESS1.3 Heating of earth's surface and atmosphere by the sun drives convection within the atmosphere and oceans, producing winds and ocean currents. 12DESS1.4 Global climate is determined by energy transfer from the sun at and near the earth's surface. This energy transfer is influenced by dynamic processes such as cloud cover and the earth's rotation, and static conditions such as the position of mountain ranges and oceans. For this Lab, instructions have been provided for students to download a sequence of images from NEO (for example, 12 consecutive months of a specific variable). Simplified instructions for how to build an animation using any of the images available from the NEO Web site are provided here. 1. Download a sequence of images from NEO (for example, 12 consecutive months of a specific variable) and save them in a folder, giving each a file name that allows you to identify the image date or month name. 2. Open ImageJ and use File > Open to open, in chronological order, each of the images you want to appear in the animation. The images will appear in the animation in the same order in which they were opened. 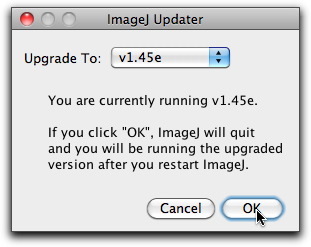 Note: ImageJ will recognize only those images that have been opened using ImageJ > File > Open. 3. Select the menu item Image > Stacks > Images to Stack. ImageJ will "stack' the set of images so that only one is visible, and will prompt you to name and save the newly created stack. 4. Select the menu item Image > Stacks > Animation > Start Animation. 5. To stop the animation select Image > Stacks > Animation > Stop Animation. 6. To change the speed of the animation, go to Image > Animation > Tools > Animation Options. If students are unable to download individual images from NEO, stacks of time-sequence images have also been prepared for the year 2017, so all they need to do is download them and open/animate them in ImageJ. 1. 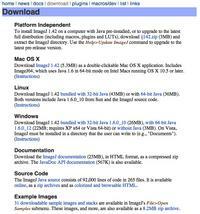 Open ImageJ and use File > Open to open the pre-made image stacks. 2. Select the menu item Image > Stacks > Animation > Start Animation. 3. To stop the animation select Image > Stacks > Animation > Stop Animation. 4. To change the speed of the animation, go to Image > Stacks > Animation > Animation Options. 1. Open ImageJ and use File > Open to open two stacks. 2. Select the menu item Image > Stacks > Tools > Combine. 3. Use the drop-down menus to select the order (left-right) in which you want the stacks to appear. 4. Name and save the combined stack, and use the menu items described above to start, stop, and modify the speed of the animation. 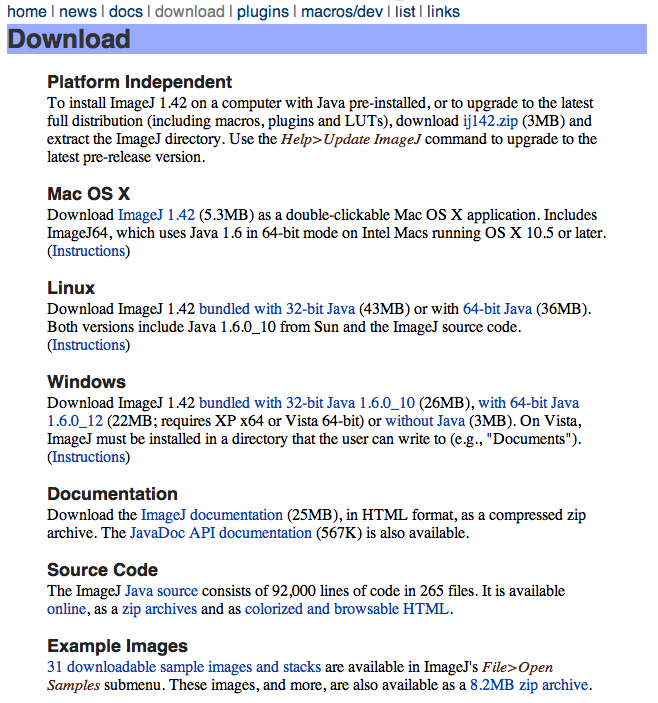 Complete documentation for ImageJ can be found at https://imagej.nih.gov/ij/docs/index.html. While the 189-page ImageJ Users Guide, available in both PDF and HTML formats, may seem overwhelming at first glance, it is a well-organized and very usable resource with a detailed Table of Contents and an extensive Index.